Lawmaker: "Metro Is An Embarrassment"
This is the way that Metro's luck has been lately: As its new general manager appeared on Capitol Hill Tuesday to receive more public shaming for Metro's service levels and safety culture, its busy Red Line suffered an epic bout of single-tracking that left riders waiting on platforms for 45 minutes to an hour. Among the passengers affected: Rep. Dan Lipinsky, a Democrat from Illinois. Who sits on the very House committee that was berating Metro. And chose to ride his bike 17 miles to Capitol Hill Tuesday morning to avoid the mess. "I said I am getting on my bike to ride the 17 miles down to Capitol Hill because I don't know when I'm going to get in," Lipinsky said during the hearing. "I think Metro in so many ways is unfortunately an embarrassment in our nation's capital." The tough commute was caused by water that seeped onto tracks near the Medical Center station on the Red Line, leading to sparks and smoke from an arcing insulator, Metro General Manager Paul Wiedefeld said Tuesday. It's a problem that Metro has known about for some time, and that News4 revealed back in when. The problems were compounded by speed restrictions outside the McPherson Square station and track work on the Orange and Silver lines. The Red Line single-tracking ended in time for the afternoon commute. currently in a tunnel between I don't know where & I don't know what stations. Single tracking on the redline. #wmata. I don't think "momentarily" means what you think it means, #wmata. Unfortunately, fixing the problem at Medical Center is expensive and difficult. 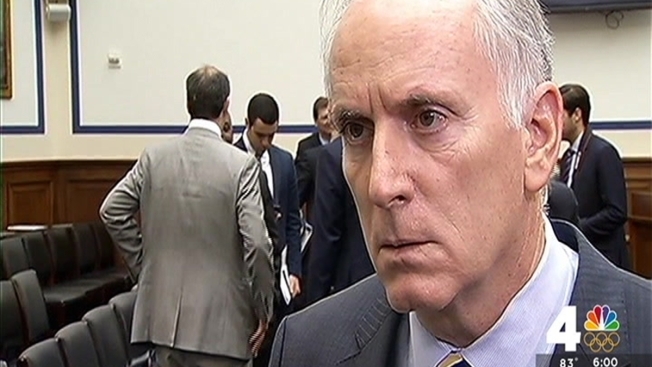 "In effect you have to build a tunnel within a tunnel to stop that from happening up there," Wiedefeld said. "It does mean that we have to do much stronger maintenance." Stronger maintenance system-wide is exactly what Metro is trying to do. It's announced a 10-month plan to repair 15 different stretches of track. The SafeTrack plan is designed to get as much work done in as compressed a time as possible. But it's going to be a almost-year-long nightmare for people who rely on Metro. There are 10 projects that require single-tracking for days at a time. There are 5 projects that will shut down segments of track altogether. In an earlier interview, Wiedefeld said his plan was a seven on a "severity scale" of one to 10. To learn more about SmartTrack and how it could affect your commute, click here.